AudioHacking literally means 'breaking in' on the listening environment. This can be done, for example, by making auditory interventions in the environment. Sounds are taken out of context and embedded in a different setting, giving them a new meaning. Our experience of the environment in which we find ourselves is strongly determined by sounds, but often we are not very aware of that. AudioHacking is a method to manipulate sound environments and listening positions. An example of audiohacking was the 'Ras-El-Hanout' project during the Ghent Festival some years ago. 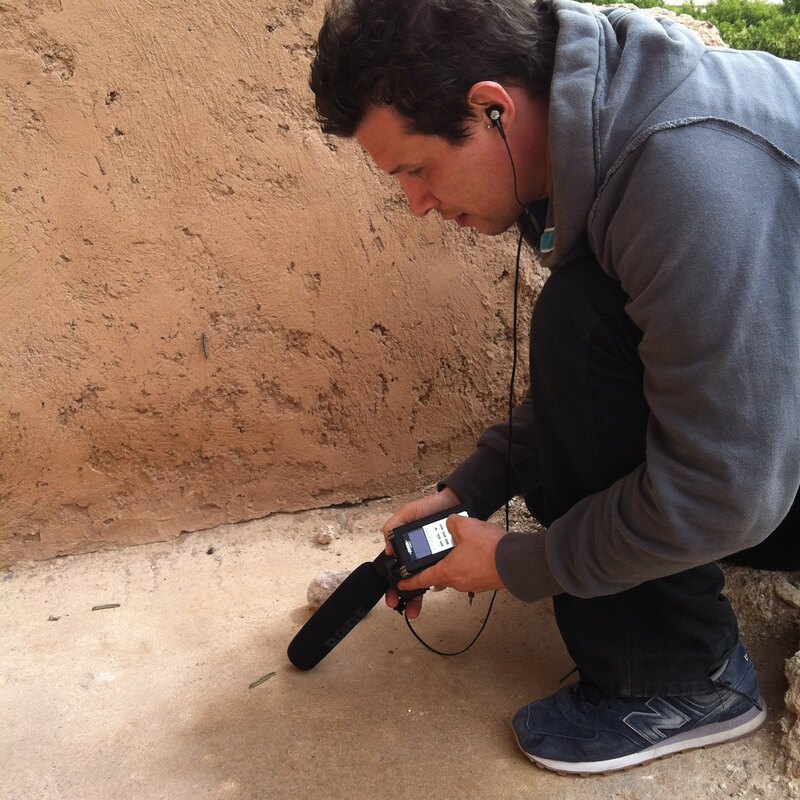 aifoon infiltrated sounds from Marrakesh (Morocco) through speakers in the Ghent streets. The composer improvised live with the recorded samples from Morocco and the real-time sounds of the street. The passers-by were not aware of what was going on, but were subliminal injected a sound composition that colored their perception. Young people from youth club Den Eglantier also created a sound decor for the Stationsstraat in Sint-Niklaas. "Few people think about the sound of a shopping street. With our own sounds we tried to give people a different feeling while walking through the street," says Roel Thierens of Den Eglantier. aifoon also investigates the possibilities of audiohacking in an educational context , in which classes from secondary education examine listening in an experimental and creative way. Do others actually hear the sounds that you subtle play to them? Does it occur to them that suddenly other sounds can be heard in their familiar surroundings, or does nobody really notice?